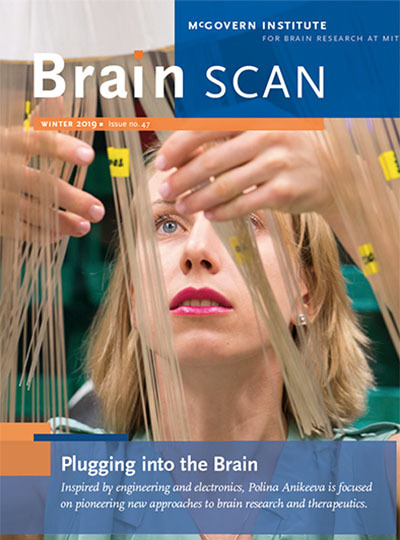 Brain Scan is the quarterly newsletter from the McGovern Institute. Join our mailing list to receive a print subscription to our newsletter. Past issues are listed below. Inspired by engineering and electronics, Polina Anikeeva is focused on pioneering new approaches to brain research and therapeutics. Issue 46: Is It Worth the Risk?